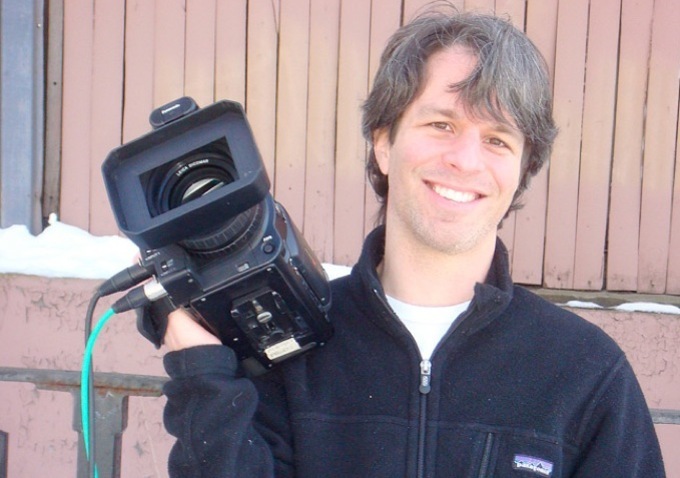 Last Thursday, Jon Emont chatted over the phone with documentary filmmaker and Academy Award Nominee, Marshall Curry ’92. They discussed his film Racing Dreams, which won Best Documentary at the 2009 Tribeca Film Festival and will be making its television premiere on PBS this Thursday. Racing Dreams follows three young racers as they chase their dreams of becoming NASCAR drivers. Why did you decide to make a film about race car driving? Yeah, there aren’t very many NASCAR fans at Swarthmore. I probably couldn’t have named two NASCAR drivers before I filmed. The idea intrigued me because the sport is actually so popular, but many of us know nothing about it. NASCAR was my initial idea and then I read an article that teens race go-karts at 70 miles an hour in Little League. It seemed like a way of looking at racing that was more than just NASCAR. I also knew I wanted this film to be about adolescents, and about the bridge between being a kid and being an adult. We shot 500 hours of footage over the course of the year. We became friends who hung out in the room. We shot them at the track and the home. Logistically, I don’t set up lights and I don’t have a microphone boom that gets in people’s faces. We shot with a compact HD camera. Do you feel like you have real insight into racing culture? I definitely began to understand it. There’s a great line from Annabeth’s mom saying ‘People don’t understand racing, they think its just cars going around in a circle. But we think baseball’s absurd. It’s just people waiting around who might not even be hit to.’ It makes you realize that everything from the outside is absurd. That’s what I love about documentaries. They tune people into to things that are happening in their world that they never appreciated. After Racing Dreams I shot If a Tree Falls, a film about a radical environmentalist. It’s up for Academy Award in a week. Right now I’m working on a film about Lennox Lewis, the boxer. All the movies I do are primarily about the characters. Why do you choose documentaries and not fiction? What do documentaries do well? I think that reality is really interesting. I could never have sat down or written the scripts for any of the movies I’ve made documentaries for. The characters have amazed me again and again. Also, one problem with fiction is that Hollywood movies are so expensive that they need to find things that will require a wide comfortable audience. Documentaries can be produced inexpensively enough that you really don’t. How did you decide to make documentaries? I worked for 10 years doing other work. I taught high school, I did interactive museum exhibits. It was really when I turned 30 that I decided I love documentaries. So I took a few years off and started filming a movie about Newark politics. Did you always have an idea that this was what you would do? No. At Swarthmore I thought I would become a journalist or maybe a teacher. I was not a cinematographer. I would watch documentaries and also a lot of fiction stuff. I didn’t take a single film class there. Racing Dreams <3 <3 <3 fantastic film!